Born and brought up in Vadodara, India, Trupal Pandya is a professional photographer, he has a bachelor’s degree in photography from the Fashion Institute of Technology, New York. Trupal stumbled into photography 9 years ago, on a tour across India, along with a DSLR to chronicle the country’s vast hinterland. What started as a fun trip eventually transitioned to a career-busting move that has led him to pick up the lenses full time. Trupal has quite a few feathers in his hat, despite having only begun his career.He had the chance to participate in the prestigious Eddie Adams Workshop in 2014 and intern with Magnum photographer Steve McCurry, well-known for his iconic photograph 'Afghan Girl'. Trupal's work has been in the publications like CNN, Huffington post and National Geographic Magazine and has also been on an assignment with the United Nations to Iraq to photograph the refugee camps. He documents rarely seen communities, explore their local practices and show through his pictures how people around the world live. His portfolio includes pictures of the tribes of Omo Valley in Ethiopia, Huaorani people of the Amazon Rainforest, Headhunters, Brokpas, Aghoris, eunuchs and shepherds in India. He has traveled to countries like Ethiopia, Ecuador, India, Iraq, and Sri Lanka mainly focusing on communities that are standing on the edge of modernization. 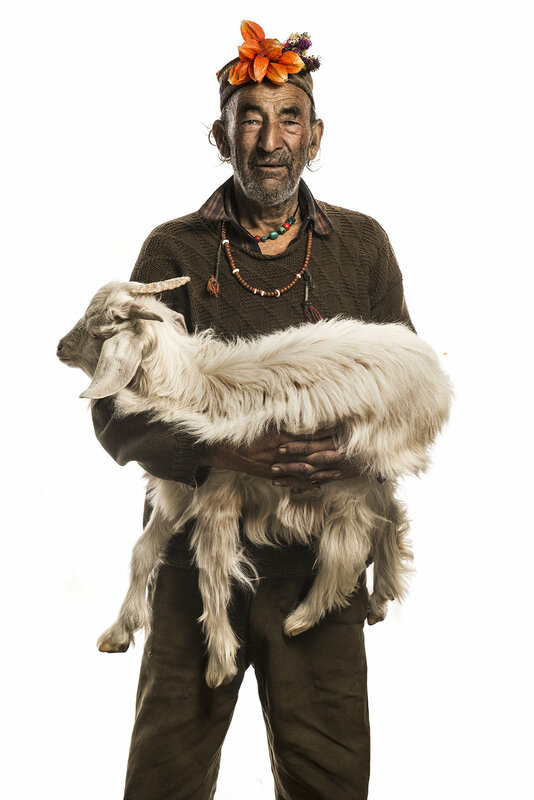 Understanding the ways of people living miles away from civilization has brought about a sea change in Trupal’s approach to photography: he uses stark white backdrops that places the tribesperson at the center of focus, shorn from their natural settings. Trupal thinks this style would encourage viewers to embrace, confront and accept the person and let the distractions of culture and geography fade into the background. Trupal’s travels have introduced him to a variety of people and situations. It is that thrill of showing the world what we don’t see every day that encouraged him to continue his journey and pursue a career as a documentary and a portrait photographer.